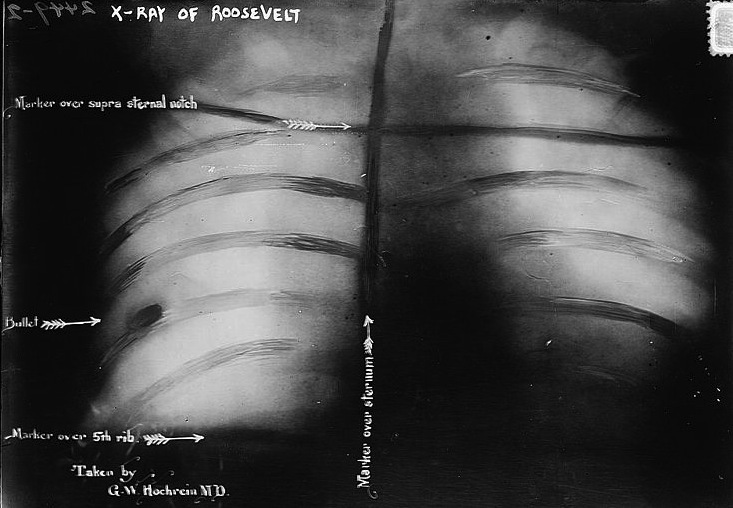 After a gunman shot him in the chest in 1912, Theodore Roosevelt went ahead and delivered a scheduled speech, blood leaking onto his shirt. "Friends," he began, "I don't know whether you fully understand that I've just been shot. But it takes more than that to bring down a Bull Moose." Click on the medical X-ray, above, for a better view of the bullet (lower left). The fearless dominance associated with psychopathy may be an important predictor of U.S. presidential performance, suggests an analysis published this week in the Journal of Personality and Social Psychology. In fact, fearless dominance, linked to low social and physical apprehensiveness, appears to correlate with better-rated presidential performance for leadership, persuasiveness, crisis management and Congressional relations, the analysis showed. 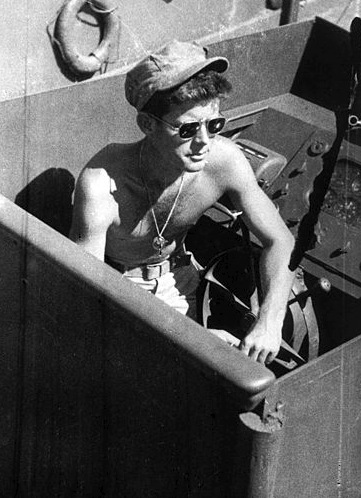 John F. Kennedy in PT-109 during his Navy years. The analysis drew upon personality assessments of 42 presidents, up to George W. Bush, compiled by Steven Rubenzer and Thomas Faschingbauer for their book “Personality, Character and Leadership in the White House.” More than 100 experts, including biographers, journalists and scholars who are established authorities on one or more U.S. presidents, evaluated their target presidents using standardized psychological measures of personality, intelligence and behavior. For rankings on various aspects of job performance, the analysis relied primarily on data from two large surveys of presidential historians: One conducted by C-SPAN in 2009 and a second conducted by Siena College in 2010. The rich historical data on presidents, combined with detailed expert rankings, provided a window into an emerging theory that some aspects of psychopathy may actually be positive adaptations in certain social situations. A clinical psychopath encompasses myriad characteristics, such as fearless social dominance, self-centered impulsivity, superficial charm, guiltlessness, callousness, dishonesty and immunity to anxiety. Each of these traits lies along a continuum, and all individuals may exhibit one of more of these traits to some degree. 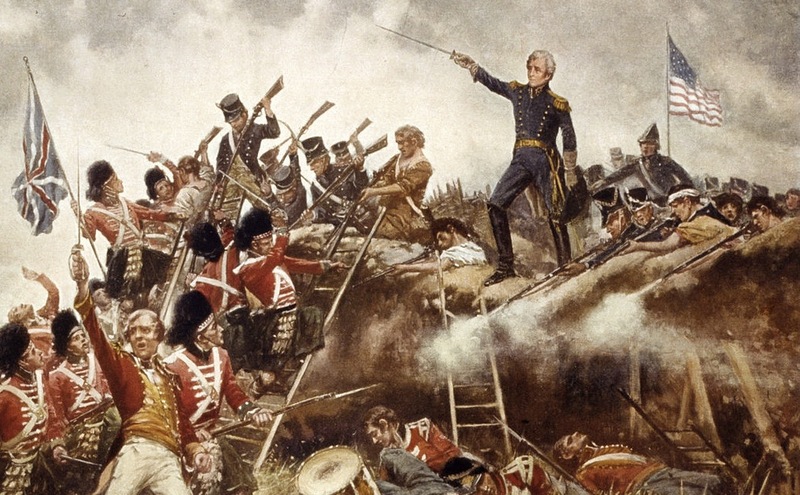 Andrew Jackson, shown standing on a parapet during the Battle of New Orleans, earned the nickname "Old Hickory," due to his toughness and aggressive personality. The results of the analysis raise the possibility that the boldness often associated with psychopathy may confer advantages over a variety of occupations involving power and prestige, from politics to business, law, athletics and the military. The findings also add to the debate over the idea of the so-called “successful psychopath,” an individual with psychopathic traits who rises to a position of power in the workplace. “We believe more research is needed into the implications of boldness for leadership in general,” Lilienfeld says. The analysis found that the link between fearless dominance and political performance was linear, Lilienfeld notes, but he added that at the extremes, boldness might veer into a form of recklessness that would be detrimental. Lyndon B. Johnson giving "the treatment" to Georgia Senator Richard Russell. 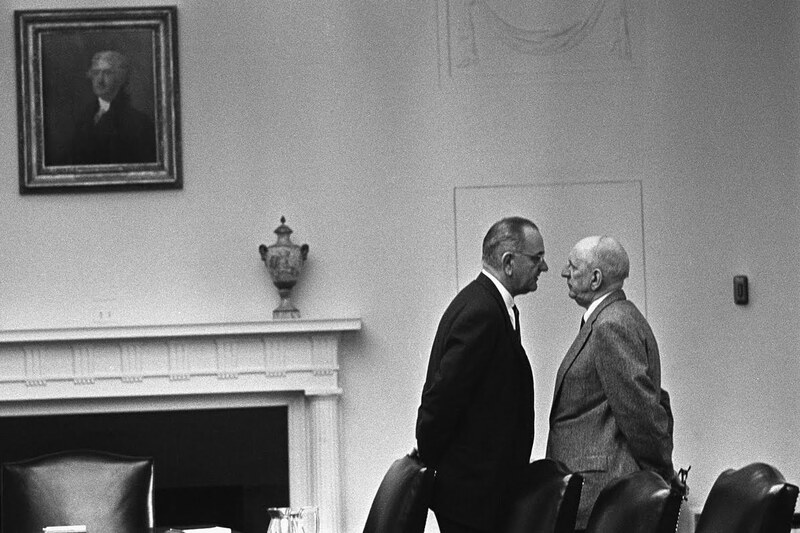 Johnson would dominate an encounter by standing inches away from a visitor's face, bombarding his guest with an intense monologue. The researchers also looked at presidential scores for self-centered impulsivity, which in contrast to boldness, was linked to some negative job performance indicators, including Congressional impeachment resolutions, tolerating unethical behavior in subordinates and negative character. Theodore Roosevelt, for instance, ranked the highest for fearless dominance, but lower than average for self-centered impulsivity, suggesting that he was far from being psychopathic. Other co-authors of the analysis include Emory psychologist Irwin Waldman, former graduate student Kristin Landfield, and Ashley Watts, now a first-year graduate student in Emory’s clinical psychology program. Credits: All images via Wikipedia Commons.